Showing 8 articles from February 4, 2019. 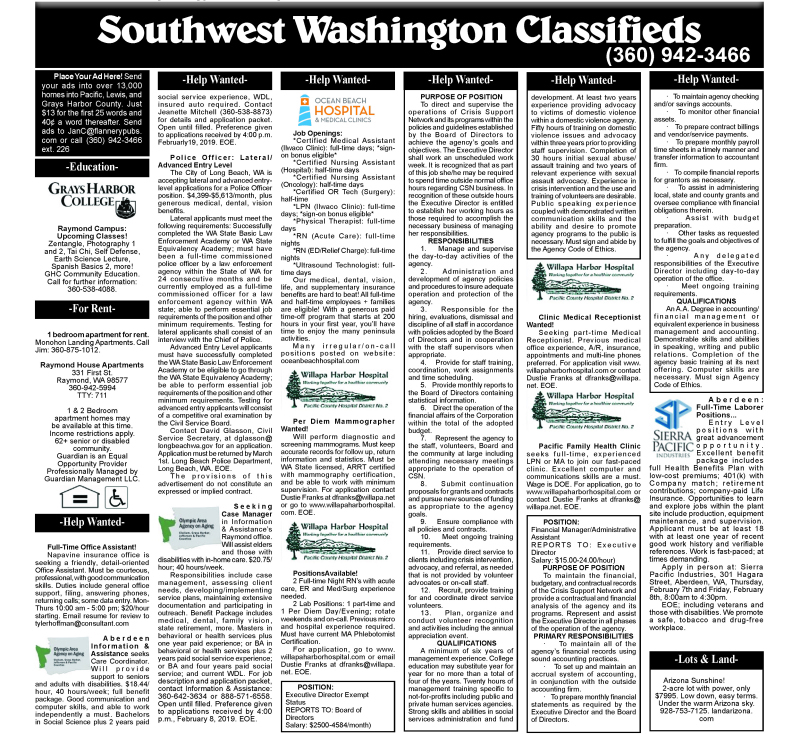 The City of Winlock never seems to be boring these days. There have been many things that have occured that makes one question what exactly is happening in city hall. 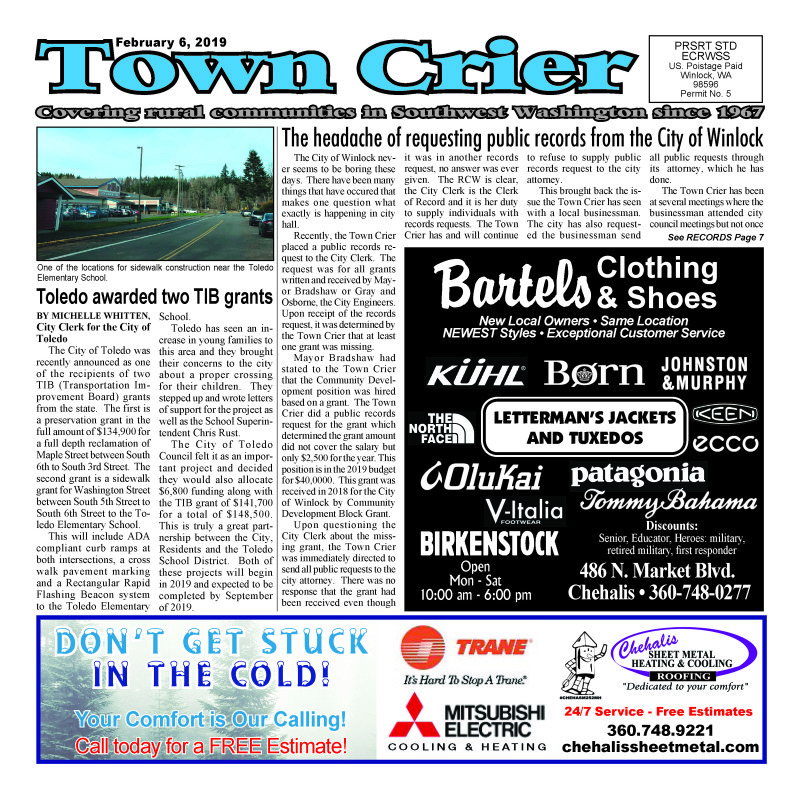 Recently, the Town Crier placed a public records request to the City Clerk. The request was for all grants written and received by Mayor Bradshaw or Gray and Osborne, the City Engineers. Upon receipt of the records request, it was determined by the Town Crier that at least one grant was missing. Mayor Bradshaw had stated to the Town Crier that the Community Development position was hired based on a grant. The Town Crier did a public records request for the grant which determined the grant amount did not cover the salary but only $2,500 for the year. This position is in the 2019 budget for $40,0000. 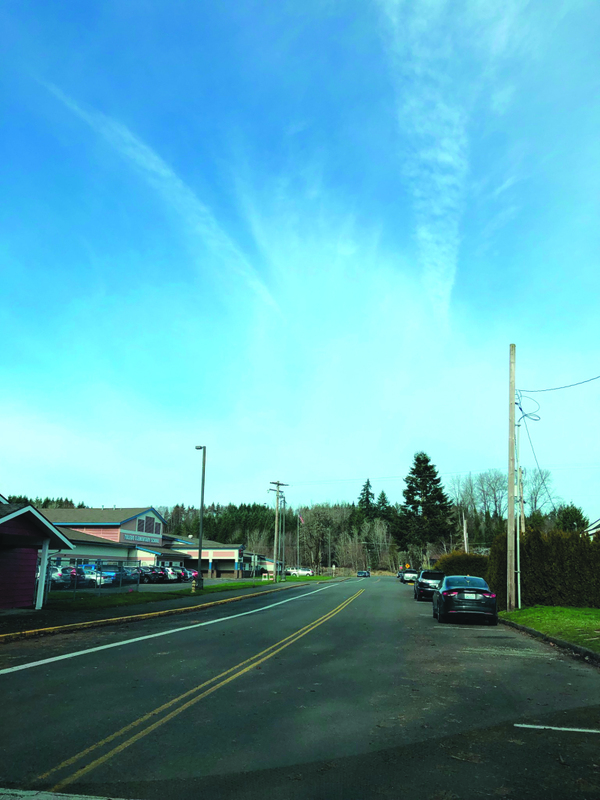 This grant was received in 2018 for the City of Winlock by Community Development Block Grant. Upon questioning the City Clerk about the missing grant, the Town Crier was immediately directed to send all public requests to the city attorney. There was no response that the grant had been received even though it was in another records request, no answer was ever given. The RCW is clear, the City Clerk is the Clerk of Record and it is her duty to supply individuals with records requests. The Town Crier has and will continue to refuse to supply public records request to the city attorney. 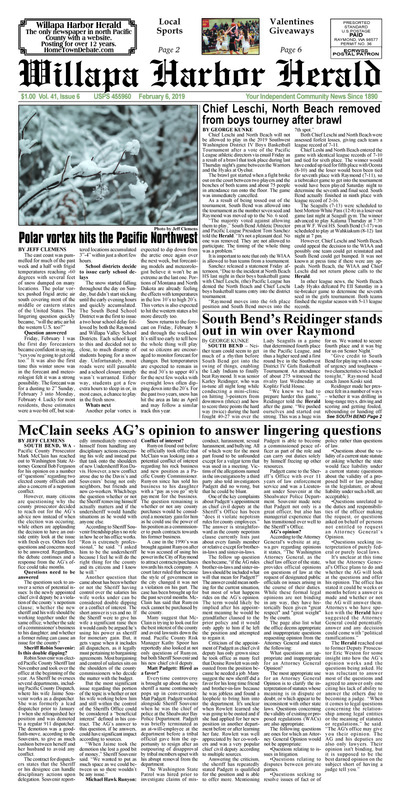 Chief Leschi and North Beach will not be allowed to play in the 2019 Southwest Washington District IV Boys Basketball Tournament after a vote of the Pacific League athletic directors via email Friday as a result of a brawl that took place during last Thursday night's game between the Warriors and the Hyaks at Oyehut. The east coast was pummelled for much of the past week and a half with frigid temperatures reaching -60 degrees with several feet of snow dumped on many locations. The polar vortex pushed frigid arctic air south covering most of the middle or eastern states of the United States. The lingering question quickly became, "will the artic air hit the western U.S. too?" Photo by Larry Bale - South Bend's Karley Reidinger swarms to the ball as Raymond's Hannah Miller attempts to shoot. Alise Rohr (15) moves in during last Wednesday's game at SBHS. 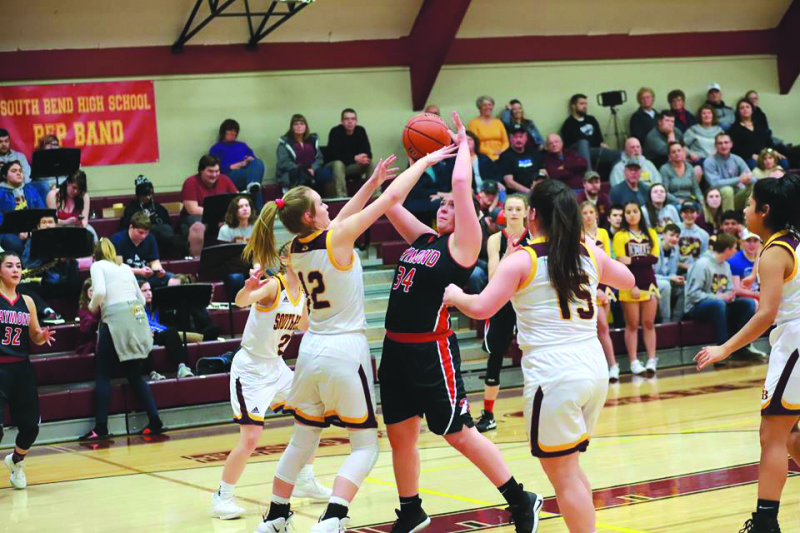 SOUTH BEND - Neither team could seem to get much of a rhythm before South Bend got into the swing of things, enabling the Lady Indians to finally beat Raymond. It was senior Karley Reidinger, who was in-tune all night long while conducting a mini-clinic on hitting 3-pointers from downtown (thrice) and how to score three points the hard way (twice) during the hard fought 40-27 win over the Lady Seagulls in a game that determined fourth place in the Pacific League, and thus a higher seed and a first round bye in the Southwest District IV Girls Basketball Tournament. An attendance of about 275 witnessed the rivalry last Wednesday at Koplitz Field House.